Kick off your visit on the 28th (Fri): take an exotic tour of a safari tour and then look for all kinds of wild species at Kopara Reindeer Park. To see other places to visit, more things to do, maps, and tourist information, go to the Pyhatunturi vacation maker . Berlin, Germany to Pyhatunturi is an approximately 9.5-hour flight. You can also drive. The time zone changes from Central European Time to Eastern European Time, which is usually a 1 hour difference. In June, daily temperatures in Pyhatunturi can reach 18°C, while at night they dip to 7°C. Finish your sightseeing early on the 28th (Fri) to allow enough time to travel to Inari. On the 29th (Sat), take in the architecture and atmosphere at Pielpajarvi Wilderness Church, then examine the collection at Siida, and then get a dose of the wild on a nature and wildlife tour. Getting from Pyhatunturi to Inari by car takes about 3.5 hours. In June, daytime highs in Inari are 16°C, while nighttime lows are 7°C. Cap off your sightseeing on the 29th (Sat) early enough to go by car to Akaslompolo. Kick off your visit on the 30th (Sun): identify plant and animal life at Wildlife Areas and then get outside with Seven Fells Up. Inspirock's itinerary builder makes planning a Akaslompolo trip simple and quick. Getting from Inari to Akaslompolo by car takes about 4 hours. Other options: take a bus; or take a bus. Expect a daytime high around 17°C in June, and nighttime lows around 7°C. 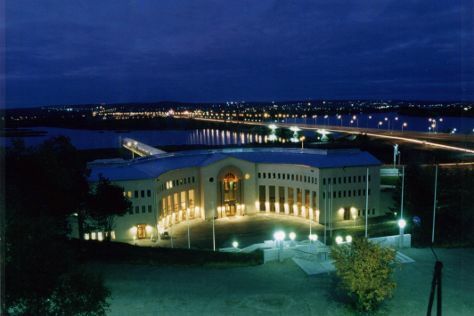 Finish your sightseeing early on the 30th (Sun) so you can drive to Rovaniemi. On the 1st (Mon), see exotic creatures in open habitats at a safari tour, then stroll the grounds of German Soldier s Cemetery, and then get engrossed in the history at Arktikum. To find maps, more things to do, other places to visit, and more tourist information, read Rovaniemi road trip tool . You can drive from Akaslompolo to Rovaniemi in 2.5 hours. Another option is to take a bus. In June, daily temperatures in Rovaniemi can reach 18°C, while at night they dip to 9°C. Cap off your sightseeing on the 1st (Mon) early enough to travel back home.